It is that time of the year for ST ABANOUB YOUTH SUMMER CAMP !! We are looking forward to an blessed and enjoyable camp and we would love you there !! Full payment is Due by Friday 1st Feb . 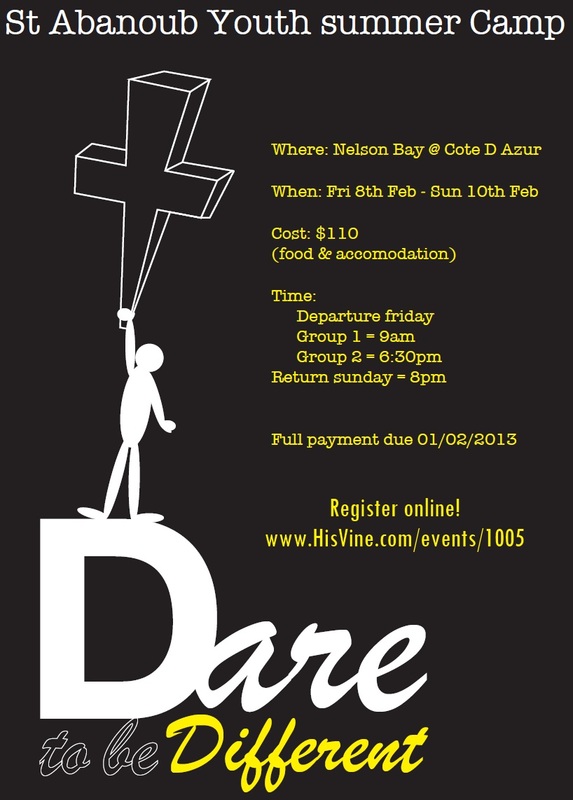 So confirm your spot Now and register below.